BERLIN: German Chancellor Angela Merkel said Tuesday that the latest EU offer on Brexit was "clear and far-reaching", hours before the British parliament was set to vote on it. "Today is an important day," Merkel said at a Berlin joint press conference with Belgian Prime Minister Charles Michel. 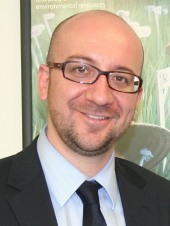 Minister of State Louis Michel was heavily criticised by Congolese opposition politicians in late December and has received many letters containing death threats, Sudpresse newspapers reported on Friday.“I have received many death threats,” said the Euro-parliamentarian, a former European Commissioner and father of Prime Minister Charles Michel.